Bright gold color. Earthy, green aromas of spice cake, caramelized fruits, grains and nuts, warm milk with cinnamon, and grass with a round, fruity medium body and a warming, complex, long grilled pineapple and sweet potato, toasted herb date muffin, smoky minerals, and chili pepper finish. A complex smoked nuanced whisky with lots of exotic flavor twists and turns. 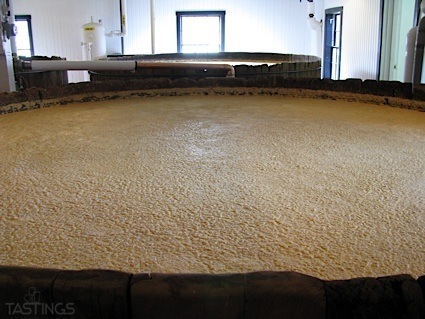 Bottom Line: A complex smoked nuanced whisky with lots of exotic flavor twists and turns. 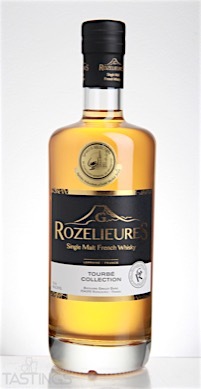 Rozelieures Single Malt French Whisky Tourbé Collection rating was calculated by tastings.com to be 93 points out of 100 on 8/25/2016. Please note that MSRP may have changed since the date of our review.